Yesterday it was Kodi Burns and the Washington Times. 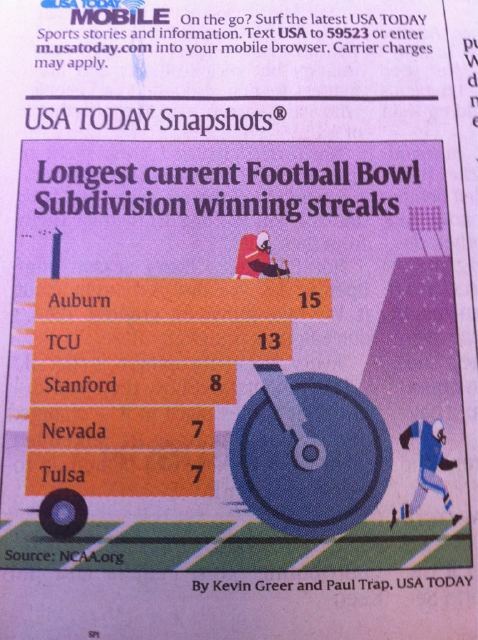 Today a hunchbacked Auburn player is driving a steam roller on the cover of USA Today. * The Gene Chizik Elevator of Champions! That’s “Longest Current Football BOWL Subdivision Winning Streak” to you sir. Bring on the orange jerseys! “We comin’!” Look out little blue dude.